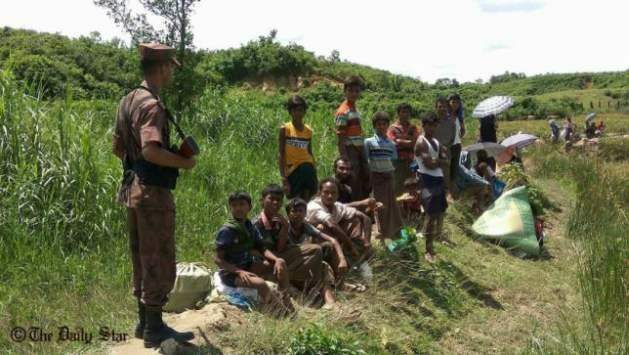 Aug 28 2017 - The very fact that Myanmar has termed the recent militant attack on its security forces as being the work of “extremist Bengali insurgents” underlines the very crux of the problem. It restates their position on the Rohingyas, their unwillingness to accept the ethnic minority for what they are. Rohingyas, who happen to be Muslims, are as Bengali as Americans are English. And this attitude of rejecting one of its own has underpinned Myanmar’s policy regarding the Rohingyas. It has been our position that since the situation is of Myanmar’s own making, it should be for it to resolve it. But that Bangladesh cannot remain an impassive neighbour because it has been directly affected by the developments in the State of Rakhine has been demonstrated by the government’s expressed position on the issue. Amidst all the killings in one part of her country, the silence of Su Kyi was very deafening and all that she could say about the atrocities of the security forces was that they were working as per “the law”. However, a redeeming feature in the entire pathetic situation was the setting up of the Annan Commission in August last year to “find a sustainable solution on the complicated issues in Rakhine State.” And if it was not a ruse by Su Kyi to placate international opinion of Myanmar’s Rohingya policy, then the government of Myanmar should recognise the merit of the recommendations of the Commission which was handed over to its President on August 24 and act on it.